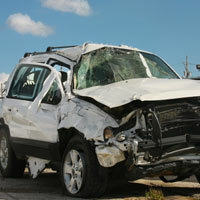 WHERE DOES THE MONEY FROM MY CAR ACCIDENT SETTLEMENT GO? When an auto case settles, or after the judge or jury give a verdict in your favor, the insurance company will send your lawyers a check. Your lawyers will ask your permission to sign your name to the check, and they will deposit it in an escrow account. The escrow account is one of the safest, most regulated parts of lawyering. Lawyers can lose their ability to practice law if they don’t handle the escrow account exactly right. It is a near-sacred duty to the client. After that, the lawyer will need to disburse the money to everyone who is entitled to part of it. You can see a sample settlement and disbursement form here: Settlement & Disbursement (03-05-18). In general, the money goes three places: to you, to your lawyer, and to the other people (usually medical providers or health insurance companies) who are still owed money. Let’s run through a sample distribution. Let’s say your case settles for $300,000.00. The amount of money your lawyers get is determined by your contract with them—by the retainer agreement (sample here: Retainer (Form-Auto)(03-04-18)) you signed. Most lawyers have the same fee agreement for settled cases—they get 1/3 (or 33.33%) of the total gross settlement. (If you are active military or a veteran, let us know—as part of our appreciation, we cut our fee percentage!) In our example, 1/3 of $300,000 is $100,000. Sounds like a lot, and it is. The question to ask yourself is, without your lawyers, would you have received as good of a verdict? If you hire cut-rate lawyers, would you still do as well?